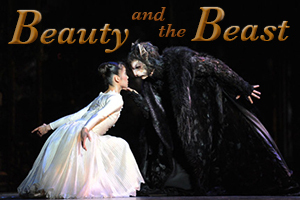 The Birmingham Royal Ballet version of Beauty And The Beasty is a little different from the Disney interpretation. I really enjoyed this production: magical transformations, wild waltzes and soaring formations of birds. I was expecting this production to be something like the Disney version, however I was pleased to see a completely different take on the story. My favourite parts were the humorous scene with the grumpy grandmother and the scene with the birds dancing/flying. Ballet had never been appealing to me, until my girlfriend suggested going to see the Matthew Bourne production of Cinderella, which was really good. At first I didn’t believe I would be able to follow a dialogue-free production, however the scenes and music guide you beautifully. Since then we have seen Sleeping Beauty and Swan Lake — it would seem that we have caught the ‘ballet bug’. I can’t wait for the our next visit to the ballet.